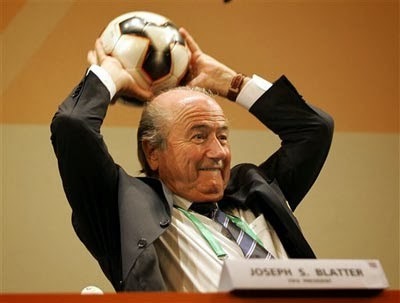 Ever since 1998 there has been one true constant for FIFA: Sepp Blatter. He has been elected president 4 times and has hinted he will run for a fifth term. Can FIFA and world soccer afford this? The answer is no simply because FIFA really deserves new ideas, a new face and a window to a future that has been elusive for at least a decade now. The world of soccer has sped by us so fast in the last four World Cup cycles that it is difficult to fathom a tournament without a breakout African nation, social media magic and the ever expanding worldliness of the game. And while Blatter may have facilitated some of the more progressive moves in world soccer, such as a rotating World Cup and removing the automatic spot from the previous champion, the pace of evolution has been excruciatingly slow. Soccer should have had goal line technology a decade ago and should be able to have at least six substitutions per game. A revolution is required for this sport we love so much. While big money interest has taken the World Cup to an unlikely place like Qatar and kept the Club World Cup from becoming relevant, non-European markets like USA and Brazil are becoming more attractive to top stars, the latter which has recalled non other than Ronaldinho in recent years. What is needed is someone that will advance the laws of the game at a faster pace. It's time for soccer to come out of the shadows of the 1960s in terms of most regulations. There are better ways to make the game more clear, enjoyable and fair without subtracting from its speed. That's what a new president should bring, and if it is Blatter, then these necessary changes will need to wait another couple of World Cup cycles. I'd be interested in a pro vs con argument about the 6 sub idea, had not heard that was something that might be in the works. Seems like it would favor the deeper nations and make it even harder for the little guys to win, so I would be against it without a convincing counter-argument. What an excellent point. I never thought about that. So yes, we can't sub Donovan in a game but it's okay for Spain to sub in Fabregas or Pedro or Torres or Costa . . .